Your appliances are connected to the internet and controlled by voice. Welcome to the future. The biggest takeaway from CES this year is that soon your entire house will be connected to the internet. Is that concerning? Yes. Is it kind of cool? Yes. Is it a couch potato’s idea of utopia? Yes, yes, and yes again. It’s not just that every appliance in your house will have a Wi-Fi connection (at least if manufacturers like LG and Samsung have anything to say about it). It’s that those appliances will also have apps, and many of them are integrated with Amazon’s Alexa voice assistant, so all you have to do is speak and tasks will just…take care of themselves. 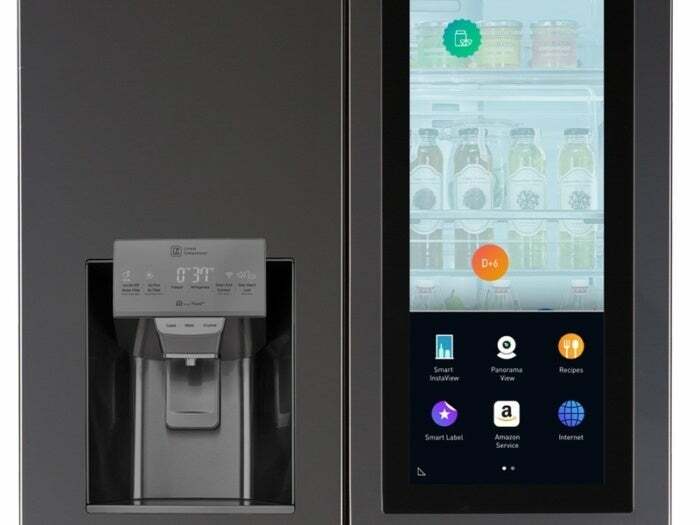 LG showed off a new Wi-Fi refrigerator that responds to voice commands, thanks to Alexa, and can even order groceries for you. 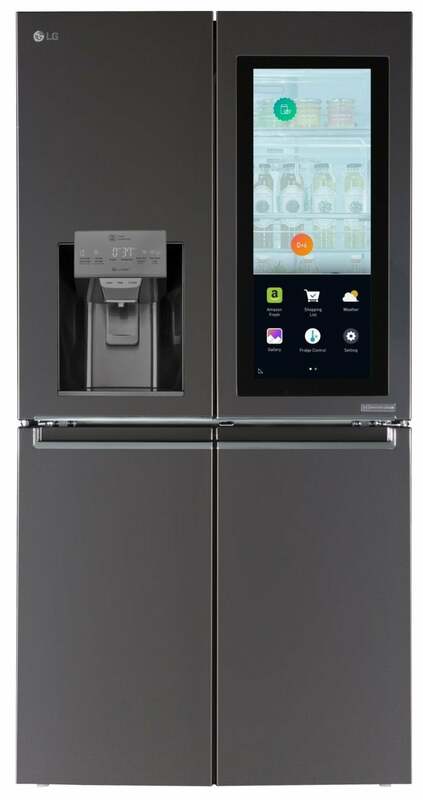 The fridge has a giant 29-inch touchscreen, which lets you browse recipes, watch videos, add notes for family members, scroll through photo albums—you know, standard fridge functions. There’s no pricing or availability information for LG’s Smart InstaView refrigerator, but expect it to be $$$. Amazon didn’t actually have a booth at CES, but the company was everywhere. A Wi-Fi-connected trash can clip-on called GeniCan promised to smarten up your trash with help from Amazon Dash. You use the device to scan barcodes on your food packages before you throw them away, which automatically adds those items to your grocery list in the GeniCan app. With Amazon Dash, those orders are fulfilled without you having to leave your house. GeniCan is $125, which is a little steep for a nonessential device, but Amazon integration is a huge selling point these days (see: every device at CES). 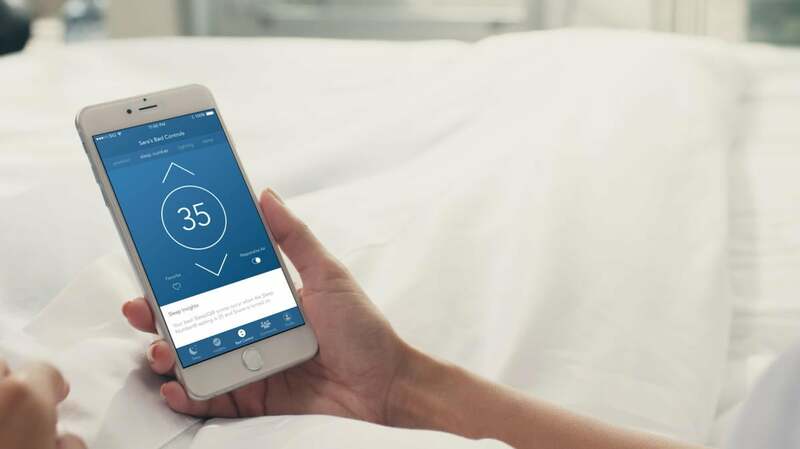 Sleep Number’s 360 Smart bed knows you better than you know yourself. Or at least that’s how it feels when you lie on it, like I did for the lone restful moment I experienced at CES. The bed syncs to your phone with data on how you sleep, when you move, and if you wake up in the middle of the night. This sounds a little creepy, but it’s all in the name of adjusting your bed for your total comfort without you knowing it. There’s even a foot-warming feature that turns on before you slide under the covers with a setting you toggle on in the app. There are some intelligent home devices that seem like a waste of time and money, but I put a premium on sleep, and this bed seems worth it. I’ve always been intrigued by home brewing, but felt like I didn’t have the time to commit to it. 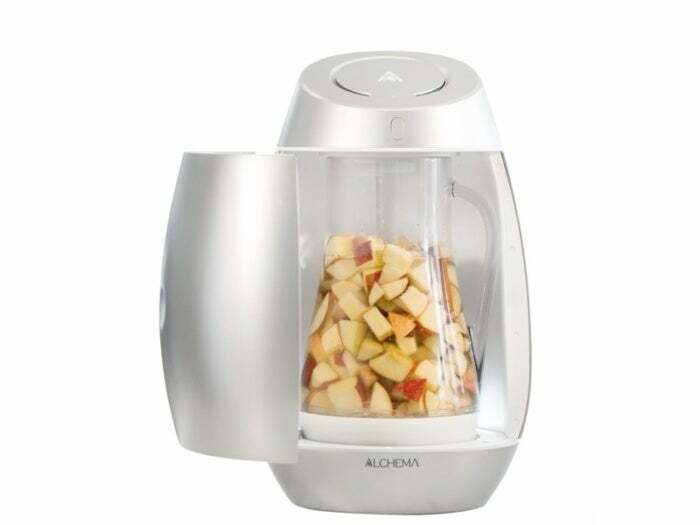 Alchema is a new Bluetooth home-brew device specifically for turning fruit into hard cider, and it does basically all of the work for you. Using the Alchema app, you pick a recipe and measure out all of the ingredients you need for the specific cider you want to make. Then the app notifies you when your cider is ready—about two weeks later. You don’t even have to worry about sanitizing the device to avoid contamination, because Alchema does that automatically with light. It’s a little expensive at $429, but the results I tasted were delicious (and mighty strong). If you love to entertain and/or make gifts for friends, you can’t go wrong with a home-brew machine. Booze was a big theme at CES, and I caught a sneek peak at a classy bartending device that is still about a year away from hitting the market. It’s called OPN, from high-end spirits group Pernod Ricard (which owns everything from Absolut vodka to Jameson whiskey and then some). Think of it as a connected liquor cabinet: The Bluetooth device holds six cartridges of liquor, designed to replace the bottles you would normally keep on your bar cart. Those cartridges can be reordered through the OPN iPad app and will be delivered in 30 minutes via OPN’s delivery service (if all goes according to plan—this project is in beta testing right now). The device knows which kind and how much alcohol you have, and can tell you which cocktails to make and how to make them. It doesn’t actually craft and serve your drink to you, which is kind of a missed opportunity, but until robots are cheaper and better at bartending, this device might have to do.